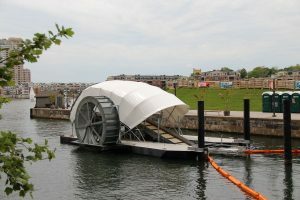 The Inner Harbor Water Wheel, or “Mr. 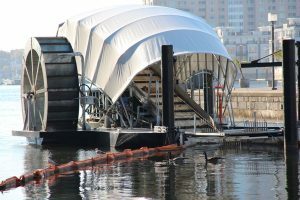 Trash Wheel” to locals, combines old and new technology to harness the power of water and sunlight to collect litter and debris flowing down the Jones Falls River. 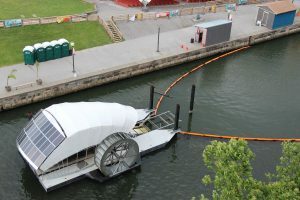 The river’s current provides power to turn the water wheel, which lifts trash and debris from the water and deposits it into a dumpster barge.  When there isn’t enough water current, a solar panel array provides additional power to keep the machine running. 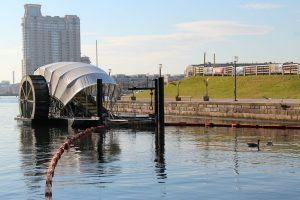 When the dumpster is full, it’s towed away by boat, and a new dumpster is put in place. Voilà! 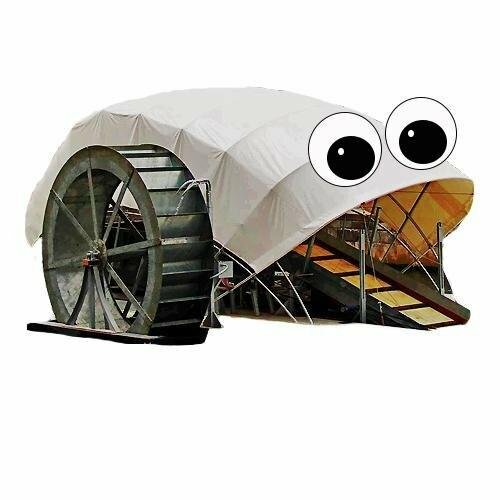 Thank you, Mr. Trash Wheel. 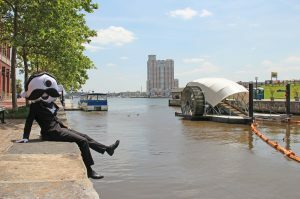 Visit Mr Trash Wheel’s new website! Mr. Trash Wheel is on Twitter! 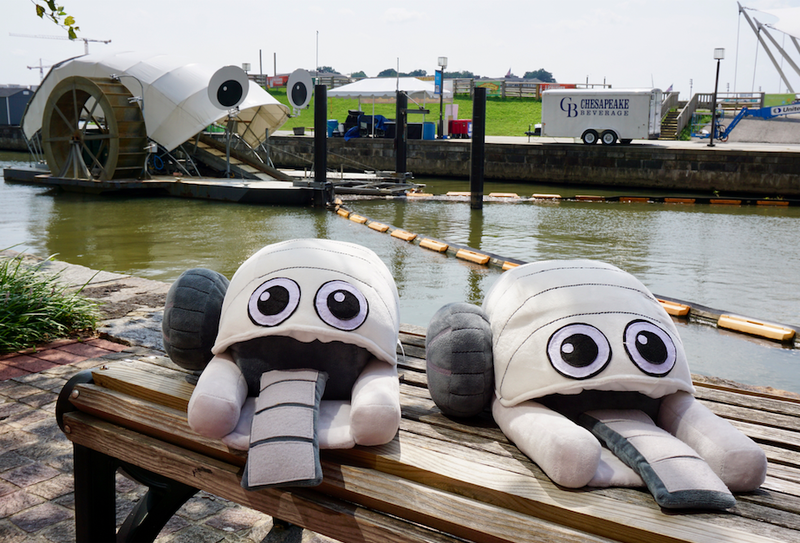 He’s happy to answer any questions you may have about life in Baltimore’s Inner Harbor and what it’s like eating trash all day. 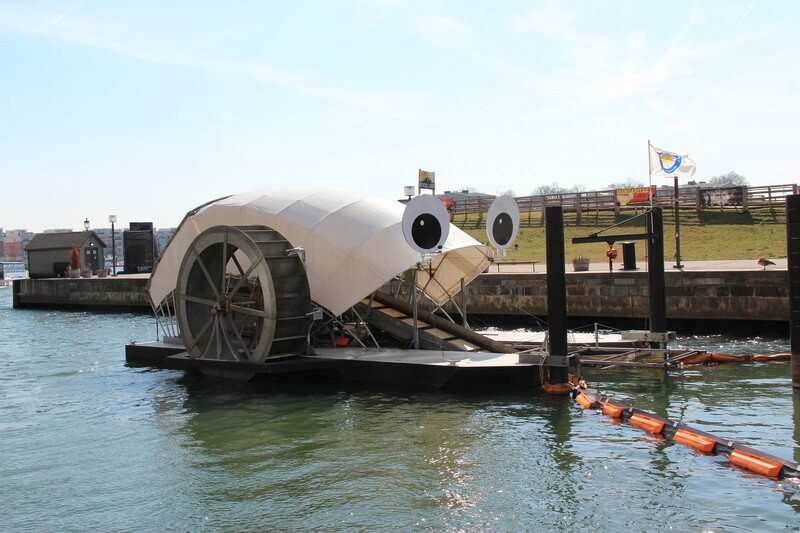 You can follow his tweets @MrTrashWheel.  WHERE DOES THE TRASH COME FROM?  Trash comes from people who throw garbage on the ground instead of putting it in a trash can or recycling bin. 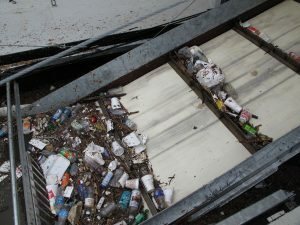 When it rains, water carries this garbage off streets and into storm drains, which flow unfiltered into neighborhood streams. 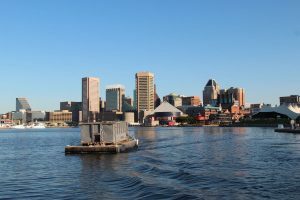 These streams carry the trash into the Baltimore Harbor and the Chesapeake Bay. 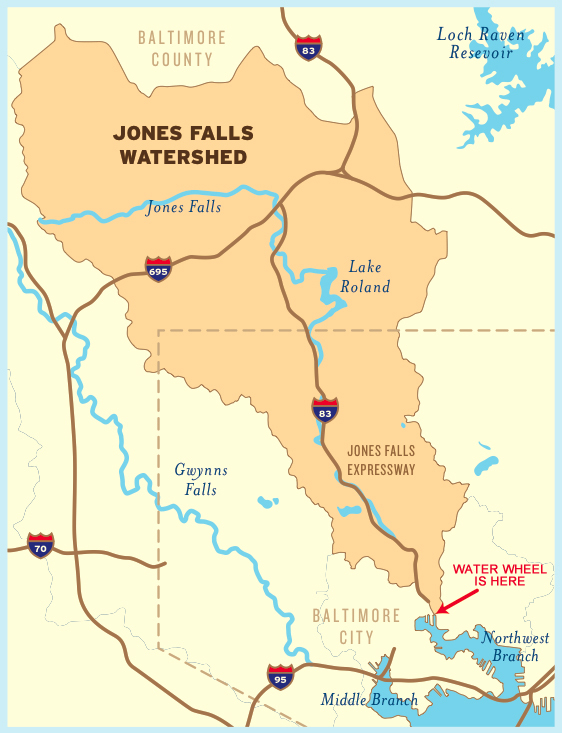 The map on the left shows the Jones Falls Watershed, which drains fifty-eight square miles of land. 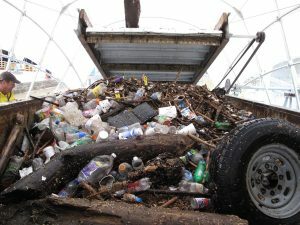 Garbage collected by Mr. Trash Wheel could come from anywhere in the Jones Falls Watershed area. 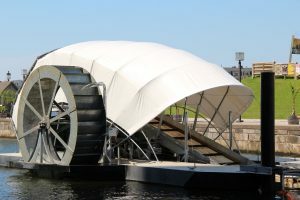 The most the Water Wheel has ever collected in a single day is 38,000 lbs.  On a sunny day, the solar panels can produce 2,500 watts of electricity—enough to power a typical Maryland home. 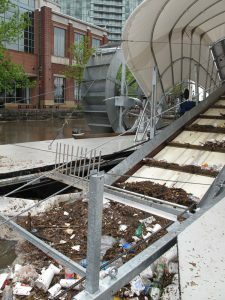 Trash collected by the Water Wheel is incinerated to generate electricity. 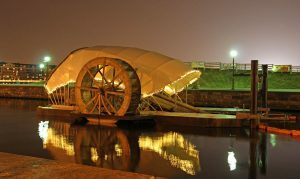 If you lined up all the cigarette butts collected by the Water Wheel, they would stretch over 70 miles!